IBC Tamil Radio Live Online . Listen over 100 Tamil FM Radio Stations Online . IBC is a Tamil language radio station with aim of building bridges of communion among Tamils all over the world. 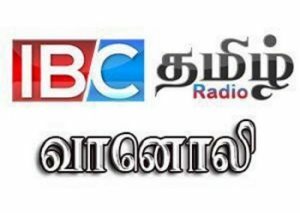 IBC Tamil ( International Broadcasting Corporation for Tamil) is a multimedia company offering free Tamil radio, television, magazine and online services across the globe . In 1997 IBC Tamil began as a radio station reaching out to Tamil people living all over the world, in the UK, Europe and the Middle East . IBC has always been aware of its role in the lives of Tamils and the cause of Tamil struggles wherever it may be. It’s the voice of tamils, voice for the tamils and it voices with tamils all over the world. Address : 117 Headstone Road , Harrow, London , HAI 1PG .